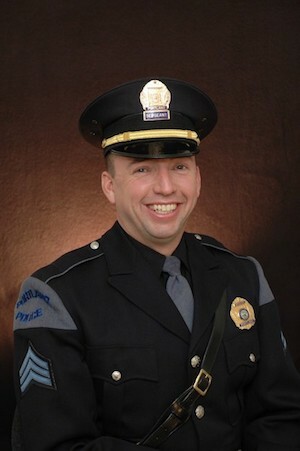 Portland Police Chief and University of Southern Maine (USM) graduate Michael Sauschuck ‘98 is set to become one of two assistant Portland city managers. Sauschuck, who graduated with a degree in criminology from USM, will retire as police chief and take on his role at City Hall effective Aug. 6. He will be joining Portland’s other recently-hired Assistant City Manager Mona Bector and the two will work alongside City Manager Jon Jennings, who personally picked Sauschuck for the job. According to the Portland Press Herald, Sauschuck’s role will focus on external relations, especially at the State House in Augusta. There, he will tackle issues of municipal revenue sharing, school funding, Portland’s waterfront and other economic initiatives. Sauschuck has been with the Portland Police Department since 1997 and served a number of roles before assuming the role as police chief in 2012. He served in the U.S. Marines prior to joining the department. He told the Press Herald leaving the department after a 21-year career was personally difficult, but he was ready for the change. More can be found on WMTW-TV, WGME/CBS 13, The Forecaster, Maine Public and The Associated Press.